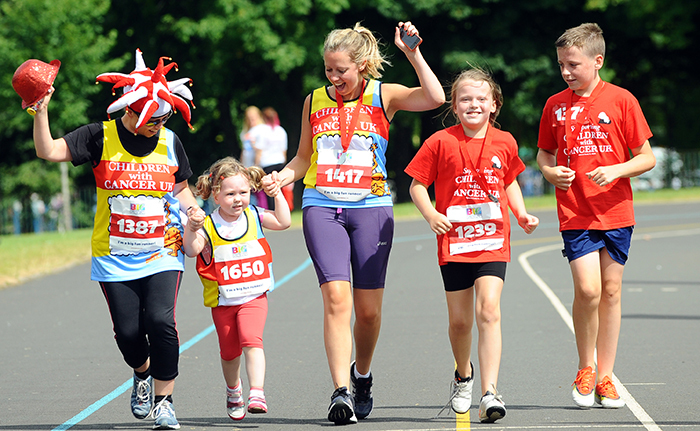 Shape up and have fun at the Big Fun Run Glasgow 2016 this October in Bellahouston Park! Come along and have fun with your friends and family at Glasgow’s Big Fun Run in Bellahouston Park on the 8th of October 2016! The Big Fun Run series is strictly for FUN where it’s all about relaxed exercise. Run for fitness, run for charity, run for fun! Kids under 5 go FREE! If you want to get active and have a fabulous, fun day out with all the family then The Big Fun Run in Bellahouston Park is where it’s at. The distance of each Fun Run is 5Km and you don’t have to be a star athlete to sign up. Walk, jog or run it. All that matters is getting out there and taking part.